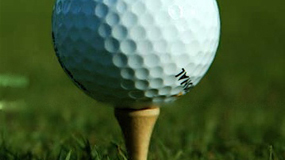 Approximately 400.000 guests come to Majorca every year to play on one of the islands´ many golf courses. Real Golf de Bendinat near Campoamor (18 holes, Par 70, tel: 971/405200) stands for prominence. King Juan Carlos is the honoured president and Michael Douglas one of the most famous members. The amount of players per day is limited to 50. 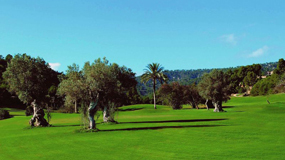 Son Vida in the resort Son Vida (18 holes, Par 72, tel: 971/791210) is the classic above the golf courses on Majorca. Prince Rainier from Monaco disclosed it in the early 1960s. Poniente 12 km from Palma (18 holes, Par 72, tel: 971/130148) is one of the most popular courses. Therefore it is recommended to book the start time in advance. After the game the club house is very inviting for a drink. Santa Ponca I in Noca Santa Ponca (18 holes, Par 72, tel: 970/690211) has been the venue for the „Open Balears” various times. This challenging course is made for experts. Santa Ponca II (18 holes, Par 72) is considered as one of the most beautiful courses and is only accessible for a few guest players. The artist Mordillo is one of its famous members. Son Antem I and II in Llucmajor (18 holes, Par 72, tel: 971/129200) are golf courses where amateurs can prove their capability. There are outstanding practice areas that welcome pros and little groups.